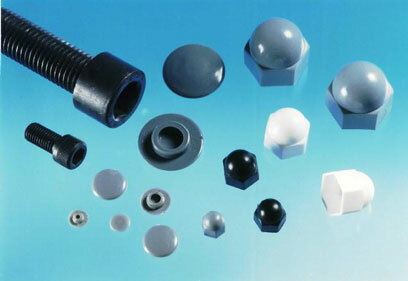 Korrex Nut Caps, which offer the advantages referred to below, will undoubtedly find wide use in all branches of industry. These Korrex Nut caps convert any hexagon nut into a Dome nut without modifying the existing assembly or connection. The nut cap merely has to be pressed over the flats of the nut after the connection has been assembled. Important: The Korrex Nut Caps, used in conjunction with Korrex insulating bushes and Dubo Retaining Rings, guarantee reliable insulation of bolted connections, at the same time securing the nut and bolt against loosening. 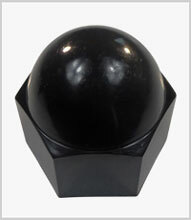 By simple application to any hexagon nut, the effect of a Dome nut is obtained.